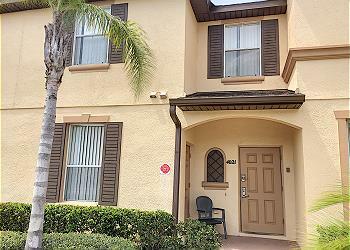 This Orlando Florida resort is the perfect environment for guests looking for Orlando vacations with a home away from home feel, combining a wide array of activities and relaxing amenities with the privacy and spaciousness of your very own Vacation Home rental or Town Home. 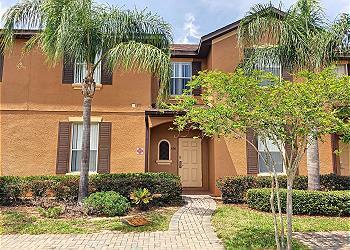 Situated next to the Highlands Reserve Golf Club, and just minutes from the excitement Orlando has to offer, Regal Palms Resort Orlando offers a quiet retreat off the beaten path where you can spread out and enjoy spacious self-catering accommodations paired with full-service amenities. The featured amenities this Resort community has to offer is a Resort Water Slide, Lazy River, Beach Style Pool Entrance, Fitness Gym, Terrace & Patio, Volleyball Court, Playground and BBQ grilling areas! Displaying 6 - 8 of 8 results matching your search criteria. 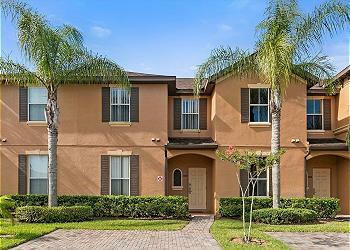 Beautiful 4 bedroom, 3 bathroom townhome in Regal Palms Resort near to Walt Disney World. Room for everyone with onsite water park style resort pool including waterslides & lazy river. Great family fun and lasting memories.